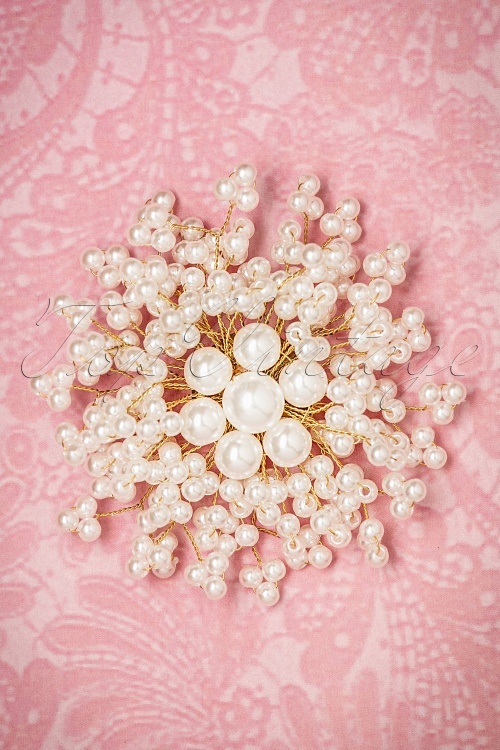 This 40s Pearl Cluster Brooch is like an explosion of pearls! ''Diamonds are a girl's best friend', but it's the pearls we're in love with!'' And there's plenty of them on this striking brooch. Made from thin twisted gold wire wraps, finished off with gorgeous cream coloured faux pearls. Pin her on your favourite item and instantly add some vintage glamour! 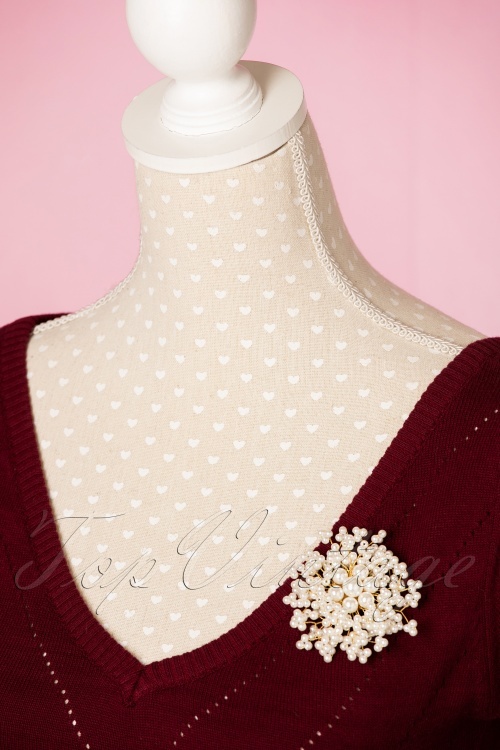 This brooch broke within pining it to my light sweater. 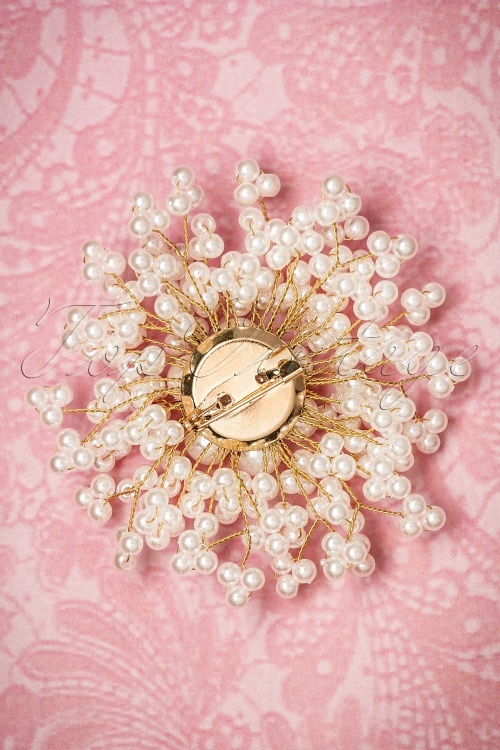 This brooch is GLUED TOGETHER with HOT GLUE. Yes, you read that right...hot glue. Dont waste your money. Shame on you Top Vintage! 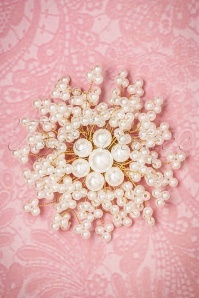 Dear Jenna, we are very sorry to read that your brooch broke when you tried to pin it to your sweater. This shouldn't happen, please accept our sincere apologies for this very unfortunate situation. I will contact you and offer you a solution later today.